A leader of the church must be one who is able to hold fast to the Word of God. Never has this been more appropriate than in today’s church. Of course, this has been said throughout the ages. However, today, we have no one who is standing against heresy and for the truth. Yes, there are many on Youtube and Facebook and in the blogosphere who are pointing out what is wrong with so-and-so and such-and-such; but there is no ONE strong voice standing for the Word among God’s people. Occasionally, we will find one lone pastor who is standing for the truth in his local area—and that is a good thing. Sadly, they are few and far between. Anyone who knows just a little of the Word of God knows that to hold to what it says will put you in opposition to many of those around you. The verse in Titus goes on to say, “…as he has been taught,” and herein lies a great problem—how; when; what; and by whom has he been taught? Seminaries teach their particular flavor of the Word, which is not in itself a problem. It helps us to identify the possibilities of the one who is a candidate before us. If we are a church of the Presbyterian tradition, we probably do not want someone trained at Dallas Theological Seminary. Regardless, though, of ‘where’ one received his training, there is no way of knowing for sure that he believes what that particular school emphasizes. The question is: Does he hold the Word faithfully? 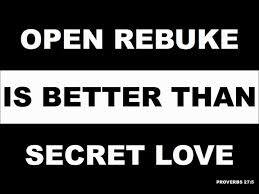 Does he use the Word in his preaching, teaching, encouraging, correcting, rebuking? REBUKE = to express sharp disapproval or criticism of someone because of their behavior or actions. In the NT, the word is used 17 times, and is translated “rebuke” five times in KJV. Four of those places are in what is known as “The Pastoral Epistles” of Paul to Timothy and Titus. The biggest lie of the postmodernism is “tolerance,” and that concept has found its way into the church to such a degree that we are forced to ‘tolerate’ most anything. We are not permitted to speak out against anything, because that would be a sign of intolerance. As a result, anything and everything is allowed to permeate the Christian ranks. Even though much of it is too strange for even a weird mind, it is permitted to remain until a solid foothold is gained and extrication of the poison root is all but impossible. I was not following the things of God, nor walking with the Lord during the three most recent ‘revivals’ known as The Brownsville Revival, The Toronto Blessing, and The Lakeland Revival. Some of the things that occurred during those times should have been stopped as soon as they were manifest. These events were attended and sometimes supervised by “big name” men of God. These leaders not only stood by in approval, but would often encourage the strange behavior.